At that time, Ministry of Interior was studying the legislation of the National Health Insurance. At last, in July 1934, “National Health Insurance Bill (draft)” was announced. Interior Ministry also made general principles of National Health Insurance and consulted it to the Social Insurance Committee. Kagawa attended the committee as a temporary member, showed off his great knowledge of the National Health Insurance, and powerfully claimed the importance of management centered run by sangyokumiai (cooperatives). The National Health Insurance operation should be delegated to sangyokumiai (cooperatives) organized all over the country. It’s difficult to pay insurance premiums by cash delivery in rural area. But in the case based on management of sangyokumiai (cooperatives), insurance premiums can be levied by payment in products such as agricultural products. Sangyokumiai (cooperatives) can exempt the poor from the insurance premiums and also give them payment ability of the insurance premiums. Because sangyokumiai (cooperatives) train members regarding voluntary mutual aid spirit, it can avoid members to fall into moral hazard. The National Health Insurance operation run by sangyokumiai (cooperatives) doing credit business can have the resilience. Preventive medicine activities can attain reduction in prevalence. By re-insurance using cooperatives system of sangyokumiai (cooperatives) completed all over the country, the risk can be dispersed from the beginning stage. Because sangyokumiai (cooperatives) acting as agent of National Health Insurance business request to practitioners in the vicinity as insurance physician, there is no need to worry job. Sangyokumiai (cooperatives), that has become the center of the rural economy, is most appropriate as a National Health insurance operation agency. The Medical Association expressed the objection intention from the very beginning of announcement of the draft. When the Medical Association noticed that the draft included provision that The National Health Insurance operation should be delegated to sangyokumiai (cooperatives), the association eagerly demanded addition of provision on “contract with the Medical Association,” and demanded the delete of “Article 9 (sangyokumiai (cooperatives) acting as agent)”. Among other things, the association criticized sangyokumiai (cooperatives) acting as agent. There had been spreading across the country medical cooperatives movement that Kagawa planted. Maybe the medical association was afraid of annihilation of practitioner by medical cooperatives running National Health Insurance operation. The bill included the provision that “non-profit organization can carry out operation of National Health Insurance.” In rural area, “non-profit organization” meant sangyokumiai (cooperatives). In February 1937, around the time the Imperial Parliament deliberation was about to begin, there was rumor that Medical Association was going to gather members in Ueno Seiyoken restaurant (Tokyo) and open the national congress of physicians. Among insidious situation, turning the face white, the clerk of the Ministry of the Interior visited Taiichi Kurokawa (later managing director of National Mutual Insurance Federation of Agricultural Cooperatives). “The bill could be crushed by the political power of the Medical Association. Could sangyokumiai (cooperatives) open the national congress to support the bill?” The clerk pleaded so fiercely. Kurokawa and his colleagues reported this information to Kotaro Sengoku, vice president of sangyokumiaichuokai (general association of cooperatives). Sengoku said, “I see. Let’s open also our national congress immediately.” On 15 March, after a few days of the Medical Association Congress, sangyokumiai held “The Absolute Support Congress for National Health Insurance Bill” at Sankaido building, Akasaka, Tokyo. In the congress, there were lined slogans such as “Ensure the uncensored passage of National Health Insurance Bill,” “Ensure sangyokumiai (cooperatives) acting as agent of National Health Insurance operation,” “Condemn the oppression of the Medical Association.” The congress resolved the absolute support of National Health Insurance Bill. After closing, they visited and pleaded to chairman of the House of Representatives, chairman of the House of Lords, and related Ministers. Even out-of-Parliament, they visited private residence of lawmakers and tried to convince. Many of the attendees of Medical Association side stayed in Tokyo even after their national congress. They waged a petition battle against the elected lawmakers in each electoral district. It also happened commotion that police went into action receiving report from the lawmakers tired of tenacity of both sides. 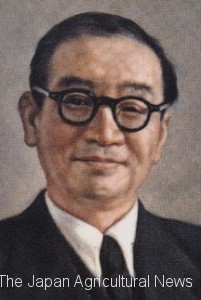 Even in government inside, regarding sangyokumiai (cooperatives) acting as agent of the National Health Insurance operation, it surfaced the confrontation between Agriculture Minister Yoriyasu Arima and Interior Minister Eiichi Baba (1879 – 1937). 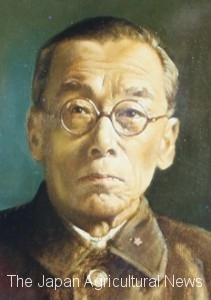 Eiichi Baba stood on the Medical Association side. As a compromise, the provisions of sangyokumiai (cooperatives) acting as agent of the National Health Insurance operation was transferred to “Article 54” of miscellaneous provisions from “Article 9.” However, there was no change of fact that sangyokumiai (cooperatives) acting as agent of the National Health Insurance operation had been provided in the law. According to later aggregation survey, number of sangyokumiai (cooperatives) acting as agent of the National Health Insurance operation in the nation reached up to 2,554. It was the one step of social reform that Kagawa had aimed by jumping into the poor relief later linked to labor movement, farmer movement, and cooperatives movement such as consumption cooperatives.